Quite often in a mix, you’ll have multiple mics for the same instrument. Almost always with drums, a lot of times with guitars, sometimes bass, and once in a while on the vocals. The tendency with these tracks is to find a nice blend between the mics to get “the sound” and then to leave it static throughout the mix. Sure, that works…but we can be a bit more creative than that, can’t we? Give this a try on your next mix: Let’s say you’ve got a big rock song with big guitars throughout. You, of course, are already doing plenty of automation, right? But how about this…when the verse comes in you’re going to want to bring down the guitar to leave space for the vocals. 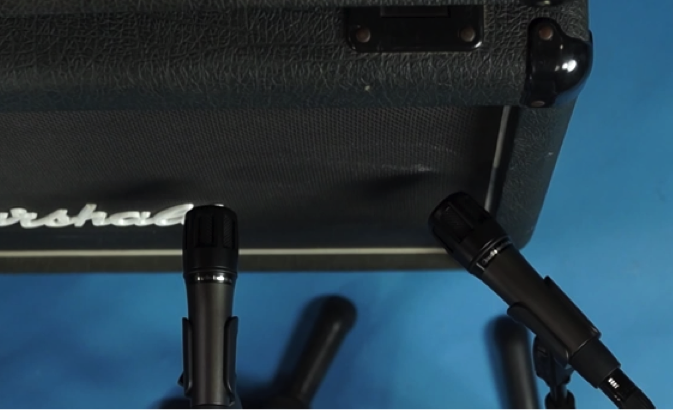 Instead of reaching for the fader, mute one of the guitar mics. This will bring down the volume, thin out the sound a bit, and carve some more room out for the vocal while creating some nice dynamics. This little trick is great because it will give you a different guitar tone in separate parts of the song, which will help to differentiate each individual section. Go nuts, try this on bass, drums, ukulele…whatever you’ve got! If you only have one mic on the instrument, why not try changing up the EQ to thin it out a bit? Always remember, a static mix is a boring mix!